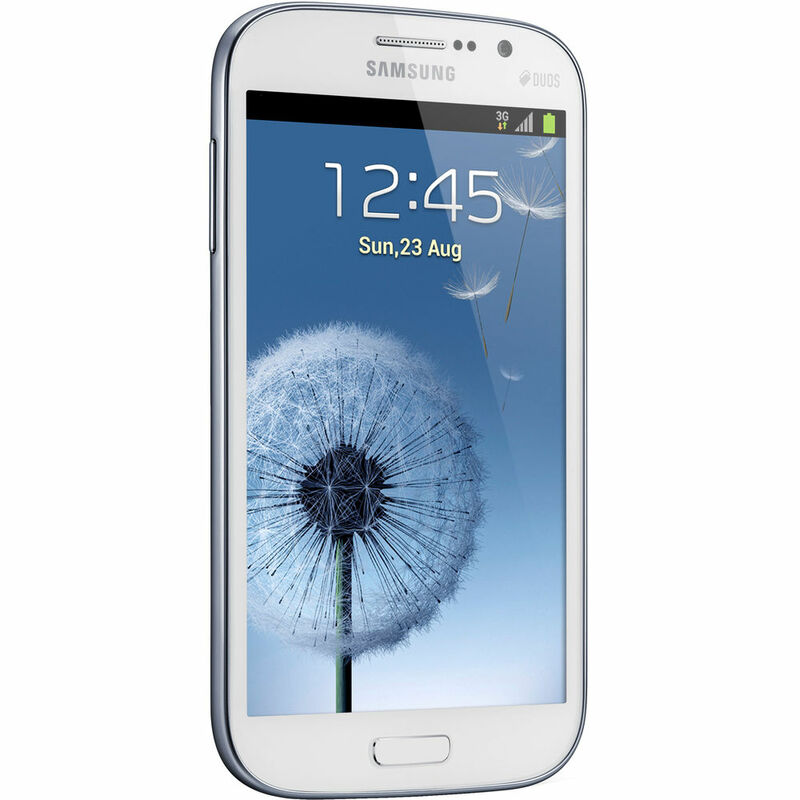 Samsung Galaxy Grand Duos is a smart choice with stylish looks. This Smartphone promises excellent performance and consistency. 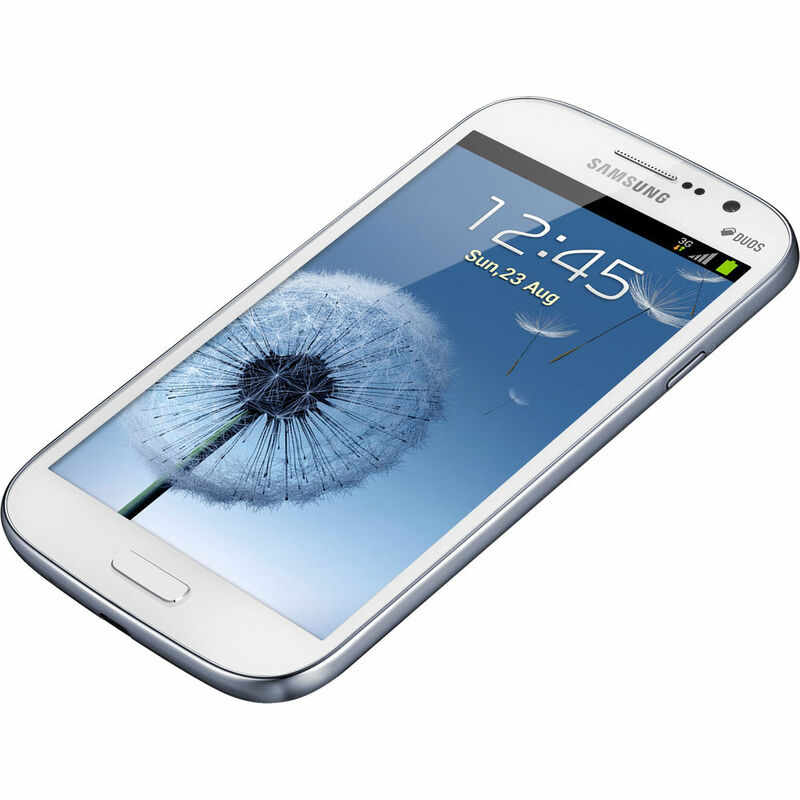 Make your life productive and enjoy the benefits offered by this phone. This is Smartphone is a beautiful combination of aesthetics and functionality that gets you in limelight for both style and performance. 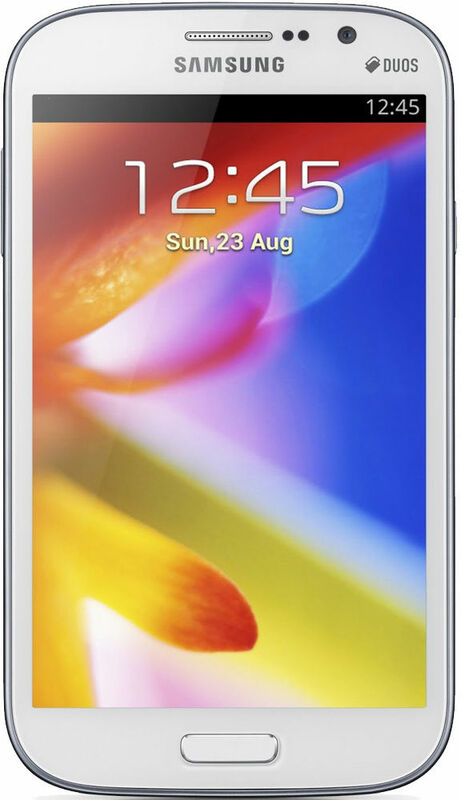 It has a brilliant 5” WVGA TFT LCD Screen that offers an impressive resolution. Enhanced readability is provided via the larger screen size. The fluid touch screen responds quickly and easily to your touch. This screen is packed in an ergonomic design works well while capturing, sharing and editing your memories. The light weight makes it easy to carry anywhere. 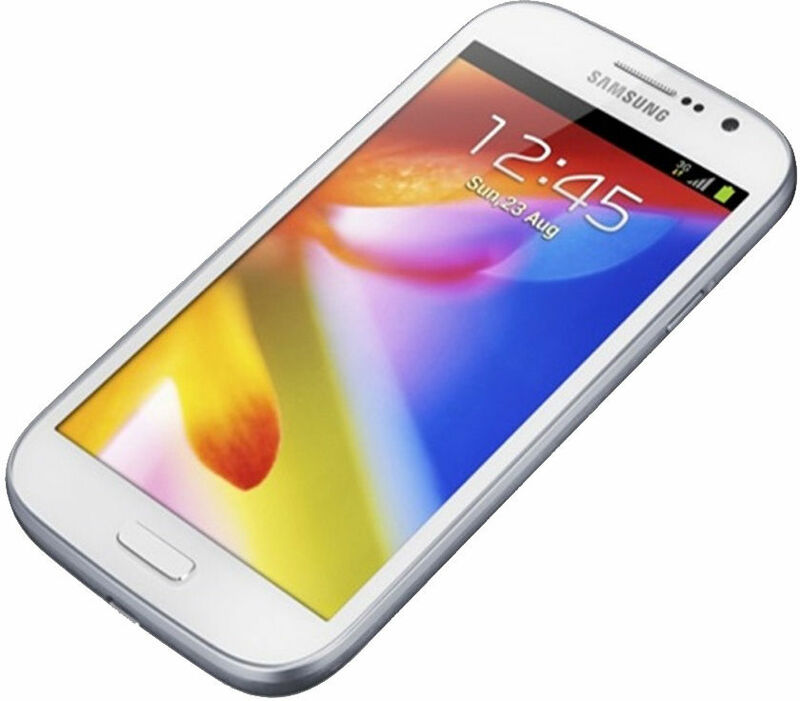 The Samsung Galaxy Grand Duos works on the Android v4.1.2 Jelly Bean Operating System and is propelled by a 1.2 GHz Dual Core Processor along with the 1GB RAM, speeding its functioning and overall performance. Multitasking is a breeze, so we can have fun in all sorts of ways. The processor helps you achieve maximum usage across various demanding applications. The multi-window option makes life very simple for you. You can watch your videos and search for some content on the net at the same time. You can even search the net and type some mail or draft a document that you want to send at the time. It makes life easy, simple and entertaining for people who always do multiple tasks. It’s not that easy to carry two mobile phones wherever you go. Most of us are so busy that we forget to carry the second one. This beautifully designed mobile has the option of carrying one phone with two numbers. It’s a Dual SIM phone that allows you to differentiate between your personal and work related calls and gives you Dual Standby. 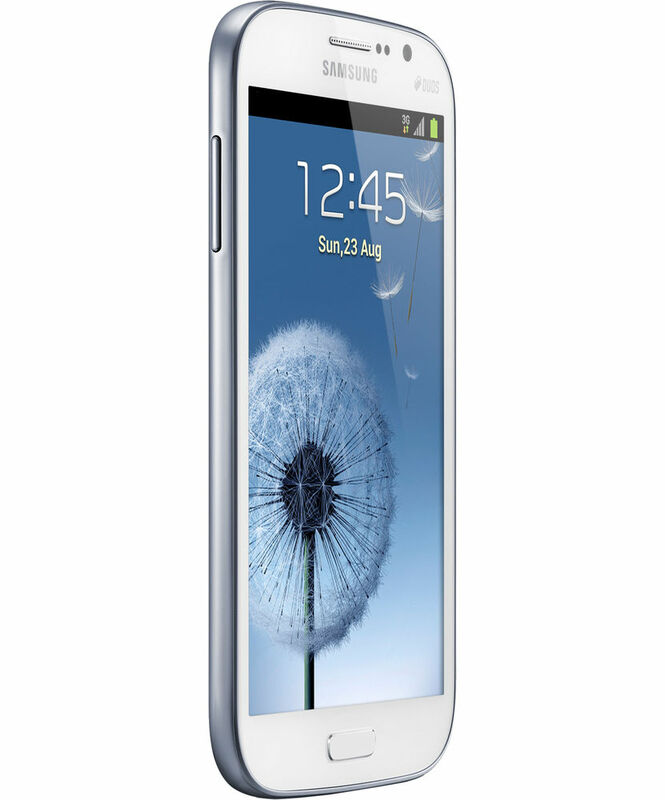 Carry your world with you wherever you go with the Samsung Galaxy Grand Duos. 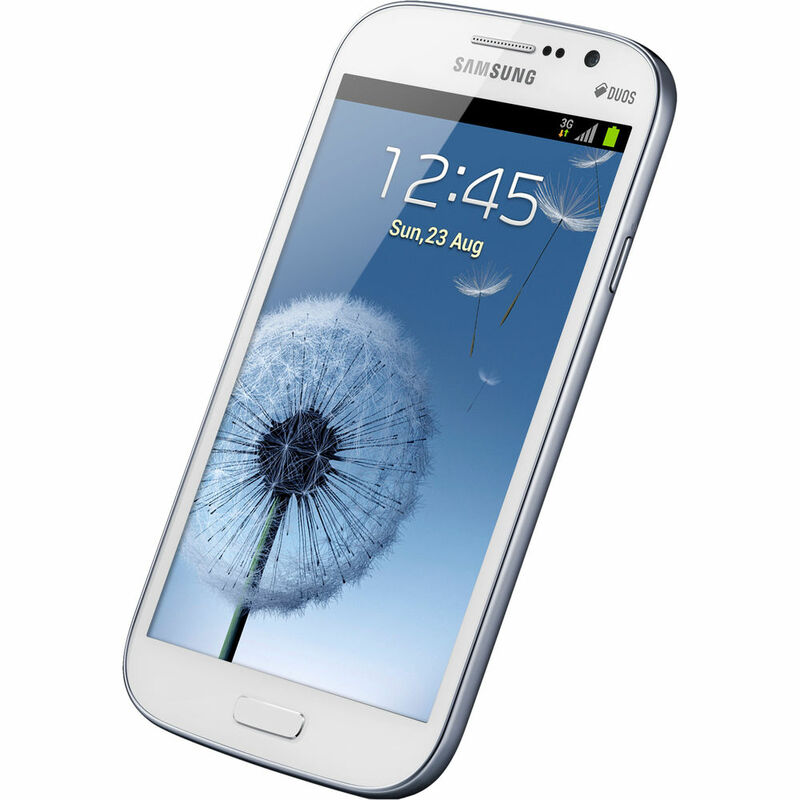 This grand phone has been enabled with Wi-Fi 802.11 b/g/n, GPS and DLNA for internet connectivity. 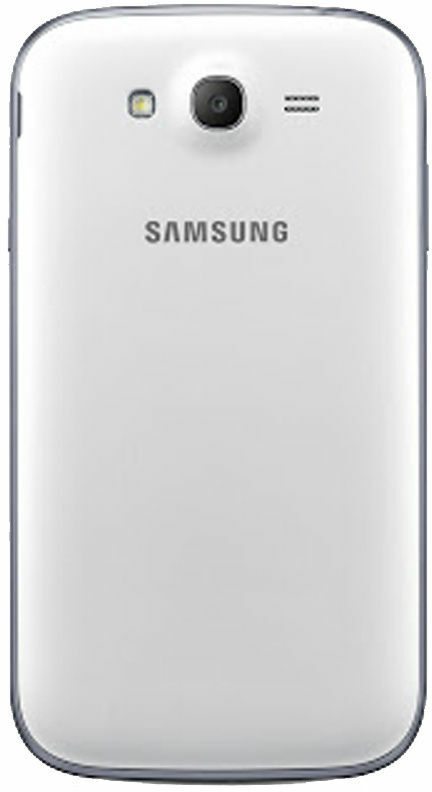 The Galaxy Grand Duos has a USB 2.0 port for connectivity. You can also enjoy seamless transfer of files using Bluetooth 4.0 LE. Take videos in different formats like MPEG4, H.263, H.264, VC-1, and WMV9 at a resolution of Full HD 1080p. It also has an option of Video Playback allowing you to watch the recorded videos. 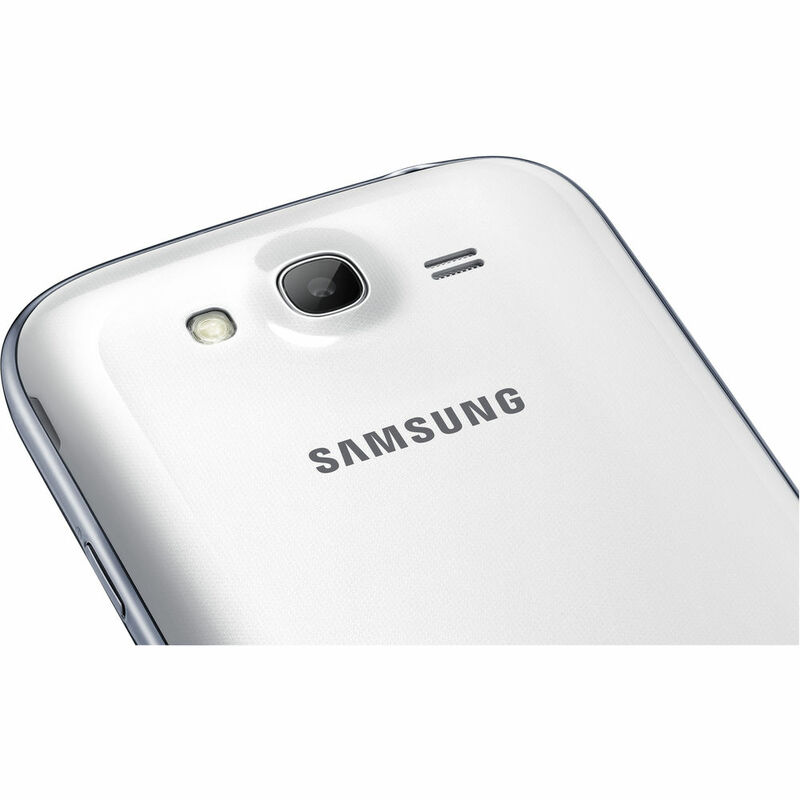 The Samsung Galaxy Grand Duos comes with 8 GB of internal storage space which can be extended up to 64 GB. The swappable microSD memory cards allow virtually limitless storage for movies, music and pictures. This phone runs on a 2100 mAh Li-Ion Standard battery that allows you to use the phone for longer hours. 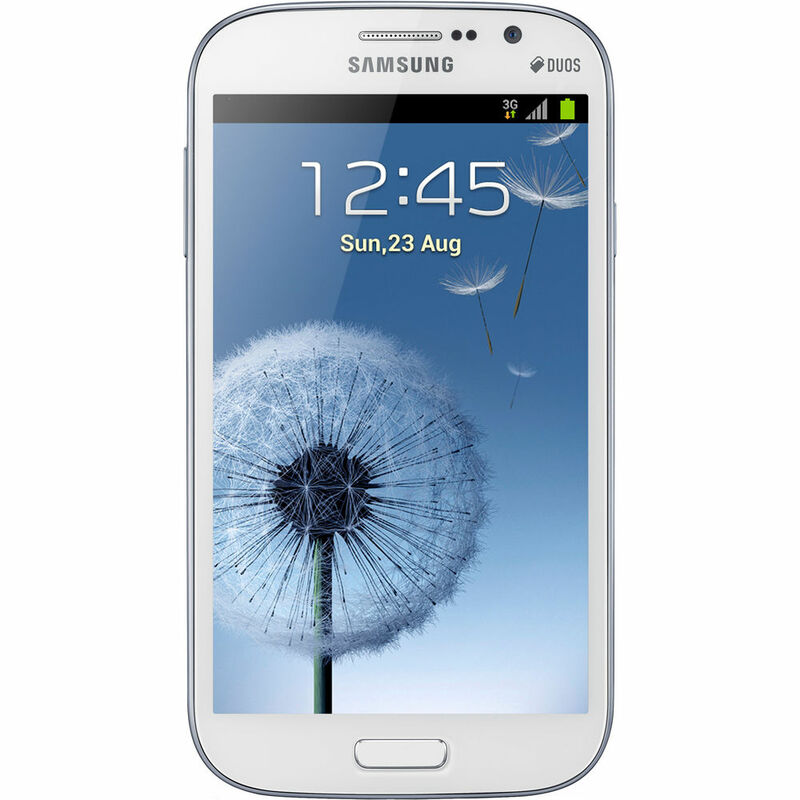 that the current cost of Samsung Galaxy Grand Duos is just 18500. available at all online shopping stores. Great phone with all required features. Only problem i am facing is the poor battary backup. I bought this phone from Infibeam.com very nice phone Jelly bean is really awesome But noticeable thing is that the service provided by infibeam.com was really very good quick and sweet. Thanks for nice trading. BaseThings Introductory Grand Package worth Rs.20,990/- Free + Samsung Flipcover (In the box) + Music & Movies on MyServices + 50 GB Dropbox space Along with Free USB OTG Cable & Jelly Silicone Case specially from BaseThings The Samsung Galaxy Grand is an amazing phone ,The Grand is a dual SIM phone that can support two separate GSM connections. Until recently, dual SIM phones were grossly underpowered and battery capacities on them were quite less. 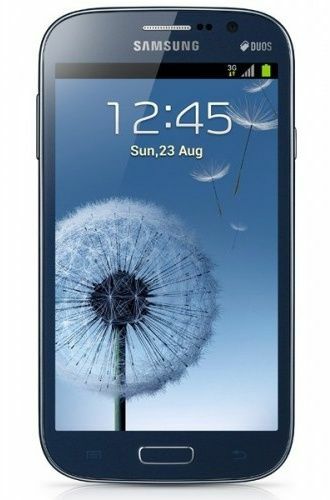 This is certainly not the case with the Samsung Galaxy Grand I9082. The dual SIM phone has a powerful battery that can power the phone for more than a day on normal continuous use. 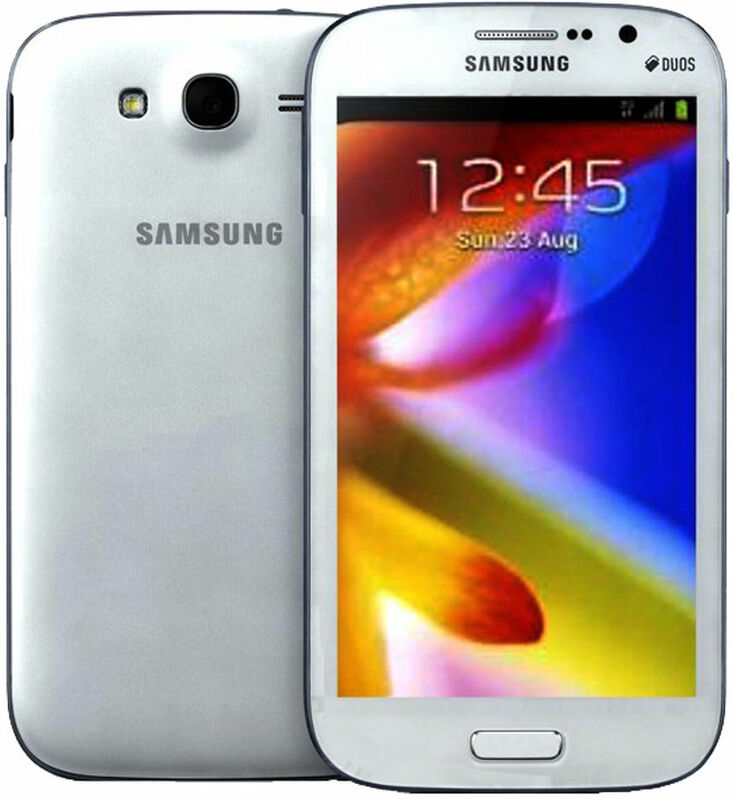 The Grand by Samsung is set to revolutionize the market for Dual SIM phones. Today the main requirement of every phone is to have internet ocnnection to be able to be active on social networking sites. And I just cant do without updating my status on it everyday. Office has this blocked but with this phone hasving internet connection iwth awesome speed has mde life more thrilling and exciting for me. Usually phones that support video calling donât have good resolution front camers but his phone has a 2MP front camera that makes images bright, clear and sharp. I had great phone the other day while talking to my Dad through vidoe calling. It is too good. 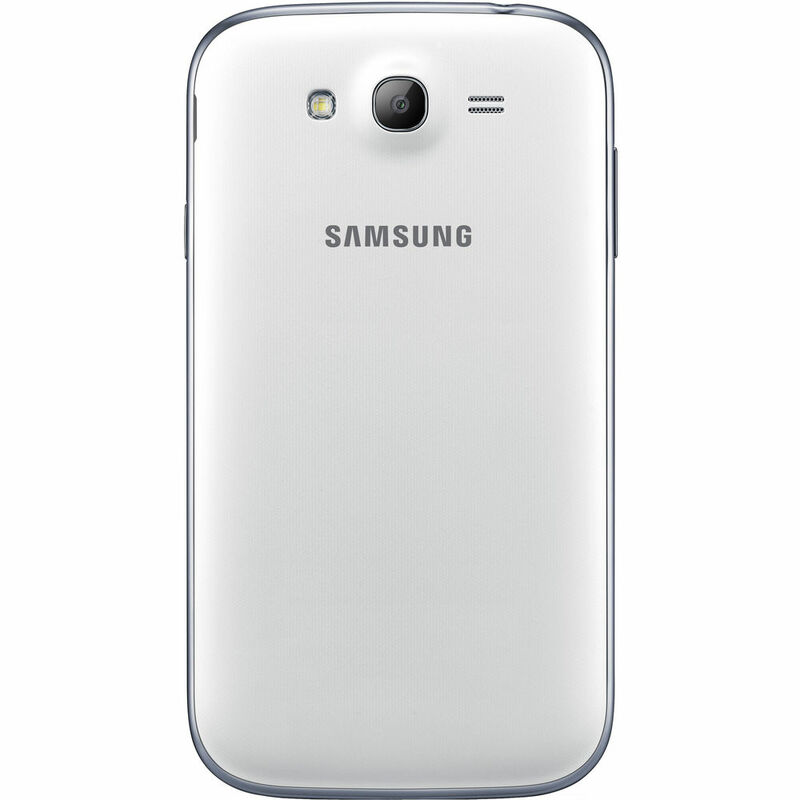 Can you beat this, this Dual SIM phone has a 8GB internal memory that usually tablets have. When the internal storage capacity is so huge I donât need to worry a lot. Now I can store a huge amount o Mohmd Rafi songs and listen to them everytime. Infact when i went for my cousins bday i clicked many pics and tehy got saved in the internal memory. I had an android phone previously too but the performance was not that good. My phone used to hang up in between. But with Android 4.1 Jelly Bean and an awesome processor I am able to use this phoen wel.. Multitaking is like so easy and hassle free. 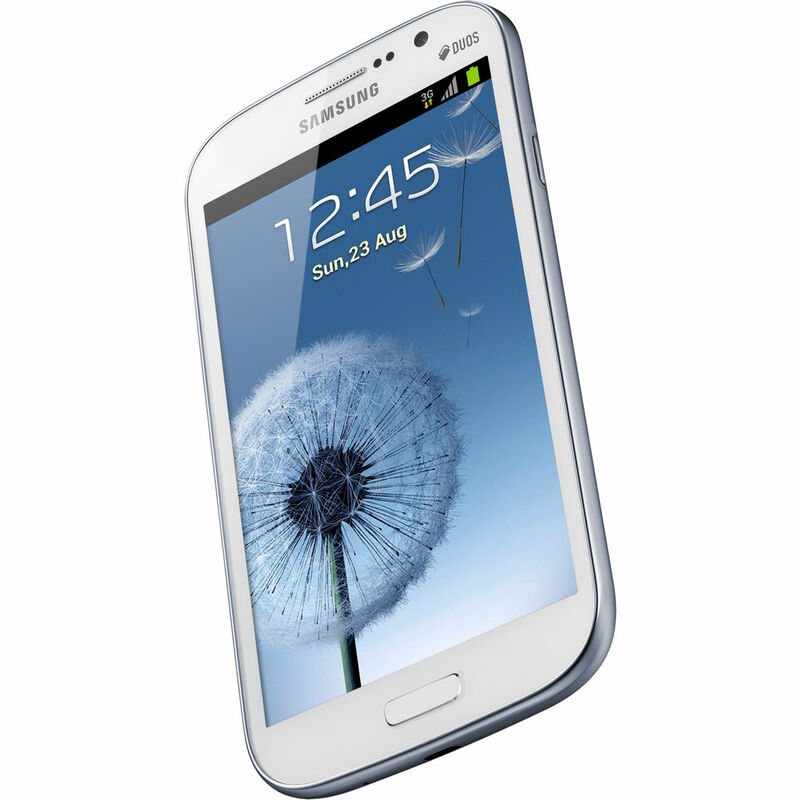 I wish Samsung had launched this phone earlier. This phone has got huge a huge screen, now watching movies and vidoes is aa real fun for me. I like to watch vidoes from youtube and this makes the viewing experince great for me. Its wide, and clear. This phone supports multitaking to a great extent. I can open multiple windows and do 2-3 tasks at one time. I am able to watch a vidoe and also make notes on them. It has made very simple for me. Thank you infibeam for bringing this phoen on your site and that too with discount and freebees. I was astonished when I got the phone. I thought I am holding SIII in my hands. So light, so smooth and so beautiful. I can get my hands off this phone. I am very happy ot have this phone.